Not usually required, although a mulch of compost, grass clippings or other organic matter can help on poor soils. Beans, Beetroot, Brussels Sprouts, Carrot, Cauliflower, Celery, Cucumber, Lettuce, Lovage, Marjoram, Parsnip, Potatoes, Sage, Pumpkin, Squash and Sweetcorn. 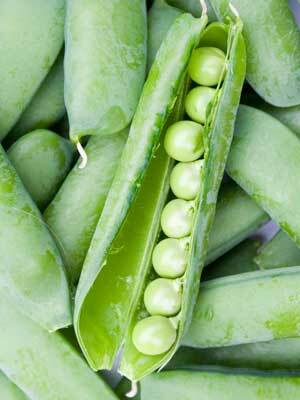 Start peas off under cover in a length of old guttering as this makes it easy to tip them into their final planting site. Or sow directly into the soil. Sow in batches for a continuous supply. Best picked just before eating, often sweet enough to enjoy raw. Mature plants usually stop producing and die back in hot summer weather.